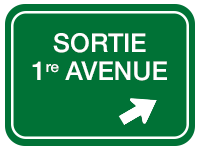 TRACTION INTÉGRALE, NAVIGATION, TOIT-OUVRANT, CAMÉRA DE RECUL AVEC SONAR AVANT / ARRIÈRE ET SYSTÈME DE FREINAGE AUTOMATIQUE DE CIRCULATION TRANSVERSALE, MONITEUR D'ANGLES MORTS, SYSTÈME DE MAINTIEN DE VOIE ET PRÉ-COLLISION, INTÉRIEUR CUIR, SIÈGES AVANT ÉLECTRIQUES / CHAUFFANTS ET VENTILÉS, SIÈGE CONDUCTEUR MÉMOIRE, VENTILATION AUTOMATIQUE BI-ZONE, AUDIO ENFORM LEXUS AVEC ÉCRAN 10.3 / AM / FM / CD / USB / APPLE CARPLAY / BLUETOOTH / RADIO SATELLITE SIRIUS XM INTÉGRÉ À 10 HAUT-PARLEURS, VOLANT DE CUIR / CHAUFFANT ET INCLINABLE ET TÉLESCOPIQUE ÉLECTRIQUE AVEC COMMANDE DE CHANGEMENT DE VITESSES / COMMANDE AUDIO / BLUETOOTH ET RÉGULATEUR DE VITESSE DYNAMIQUE À RADAR, DÉTAILS F SPORT: CALANDRE / SIÈGES / POMMEAU DE LEVIER DE VITESSE / PLAQUES DE SEUIL / PÉDALES SPORT / JANTES 18 , SUSPENSION À CALIBRAGE SPORT, HAYON ÉLECTRIQUE, ESSUIE GLACE ACTIVÉ PAR LA PLUIE ET ENCORE PLUS!! AWD, GPS, MOONROOF, REAR BACKUP CAMERA W/ FRONT AND BACK SENSORS AND REAR CROSS TRAFFIC AUTOMATIC BRAKING SYSTEM, BLIND SPOT MONITOR / LANE DEPARTURE ALERT / PRE-COLLISION SYSTEM, PREMIUM LEATHER INTERIOR, ELECTRIC / HEATED AND VENTILATED FRONT SEATS, DRIVERS MEMORY SEAT, ENFORM LEXUS AUDIO W/ 10.3 DISPLAY / AM / FM / CD / USB / BLUETOOTH / APPLE CARPLAY / INTEGRATED XM SATELLITE W/ 10 SPEAKERS, LEATHER / HEATED AND POWER TILT / TELESCOPIC STEERING WHEEL W/ PADDLE SHIFTER / AUDIO CONTROL / BLUETOOTH AND DYNAMIC RADAR CRUISE CONTROL, SPORT TUNED SUSPENSION, F SPORT GRILLE / SEATS / SCUFF PLATES / SHIFT KNOB / LED FOG LAMP / 18 ALLOY WHEELS, POWER BACK DOOR, RAIN SENSING WIPERS AND MORE!! 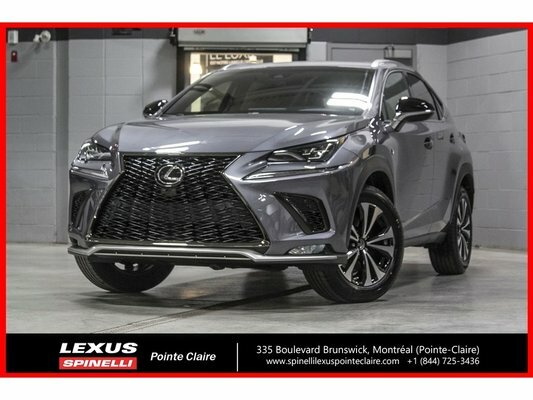 Ce véhicule d’occasion Lexus NX 300 F SPORT II AWD; CUIR TOIT GPS CARPLAY LSS+ 2019 à vendre chez Spinelli Lexus Lachine, votre concessionnaire Lexus est probablement celui qu’il vous faut en 2019! ce véhicule d’occasion Lexus NX 300 F SPORT II AWD; CUIR TOIT GPS CARPLAY LSS+ 2019 à vendre au prix de 56 895 $ chez Spinelli Lexus Lachine aura tout pour vous plaire.